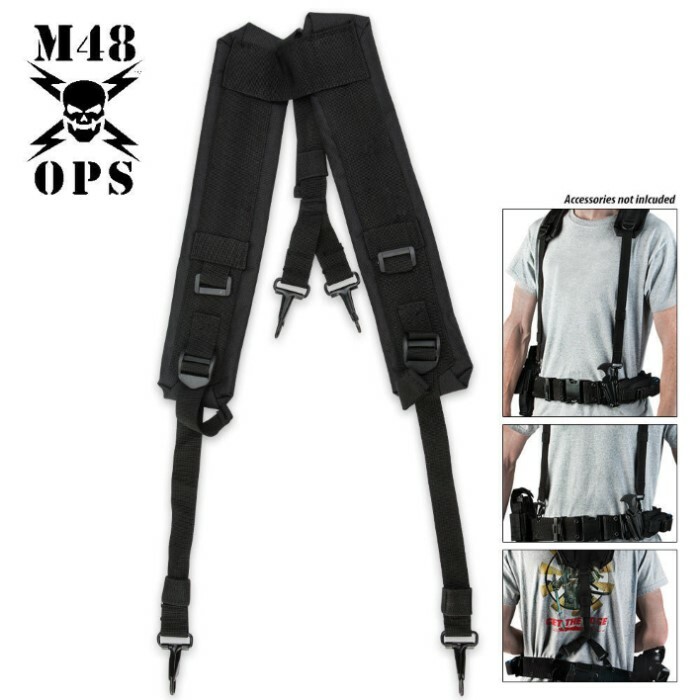 M48 OPS GI Style Suspenders Black | BUDK.com - Knives & Swords At The Lowest Prices! 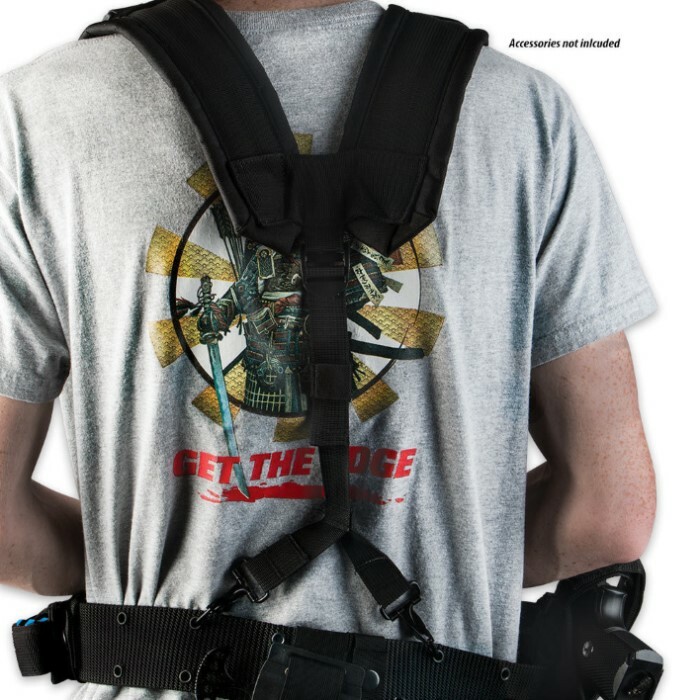 M48 OPS continues its line of tactical gear with these Government Issue style LC-1 Y suspenders! They are built just like actual government issue but are in brand new condition. 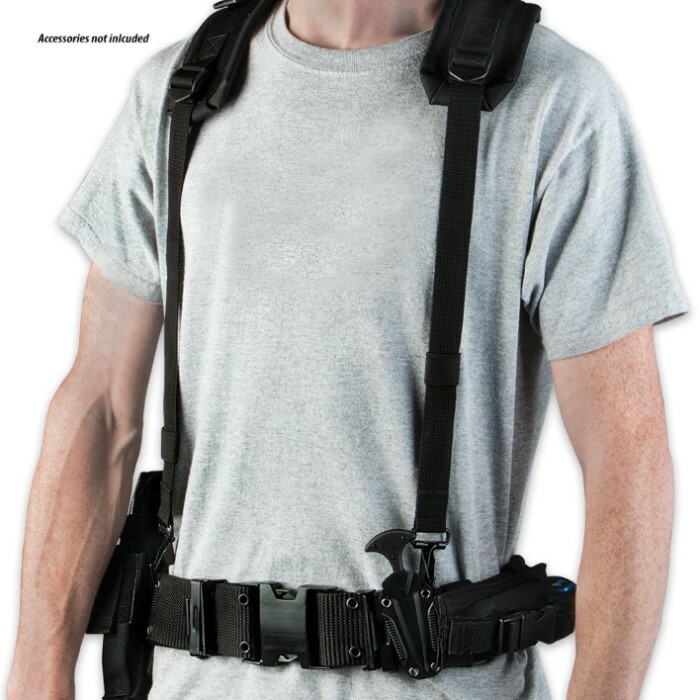 The suspenders are constructed of heavy-duty black nylon and are fully adjustable to ensure a quality, comfortable fit.